When describing a perpetrator, eyewitnesses often refer to a perpetrator’s distinctive facial features or markings. In these cases, the police have to decide how best to create a fair lineup or photospread. There is surprisingly little research, however, on how distinctive facial features influence eyewitness identification behaviour and accuracy. Might the presence or absence of such a feature disrupt the normal mechanisms by which we recognise unfamiliar faces? Since 2009, I have been working with students and colleagues at Warwick University, and other British universities, to examine how distinctive features influence our ability to identify faces. This research has important implications for our understanding of human memory and practical implications for police practice and policy. Badham, S. P., Wade, K. A., *Watts, H. J. E., *Woods, N. G., & Maylor, E. A. (2013). Replicating distinctive facial features in lineups: Identification performance in young versus older adults. Psychonomic Bulletin & Review, 20, 289-295. Zarkadi, T., Wade, K. A., & Stewart, N. (2009). 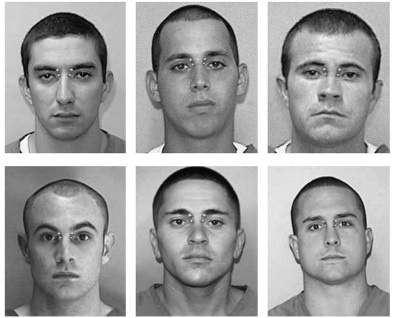 Creating fair lineups for suspects with distinctive features. Psychological Science, 20, 1448-1453.